What should be included in a time-sharing schedule? The previous blog post discussed the relationship between a parenting plan and a time-sharing schedule. However, a time-sharing schedule is a multifaceted document that contains a lot of detail, which is why it deserves its own post. As a refresher, a time-sharing schedule is a part of a parenting plan that specifies the exact times, dates, holidays, etc. that a child will spend with each parent. The schedule needs to be specific, but it also needs to be flexible enough to change as the child grows older. There are multiple reasons for this broad approach. For one, a detailed schedule will help reduce stress and provide a sense of consistency for the child. Also, the court will not enforce the schedule if it lacks in depth detail. Third, an organized schedule that specifies dates and times will lead to less conflict between the parents. What should the focus of the time-sharing schedule be? When establishing an agreed upon time-sharing schedule, the parents usually try to agree on a schedule that would allow both of them to spend as much time with their child as possible. In the event that parents cannot agree, a judge will then decide for then and establish the parenting plan and a timesharing schedule. When parents agree to set their own schedule, they should take into account the future and the viability if their schedule when their child gets older. Ultimately, the schedule should be set so that the parent spends quality time, and interacts as much as possible with the minor child. This mean that the blocks of time allotted in the schedule should be long enough to have a significant amount of time with the child. Attention to the smallest details are key features of a clear and unambiguous time-sharing schedule that will help parents avoid future disputes. 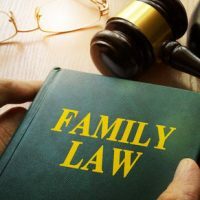 Courts in Florida encourage parents to agree on a parenting plan and a timesharing schedule as this will be the first step into a successful long-lasting co-parenting relationship. What happens if I run into a problem while creating a time-sharing schedule? Because time-sharing schedules take both parents’ schedules into account, there can be room for disagreements, overlaps, and conflicting ideas. However, it’s crucial to make sure that the time slots that the parent commits to are ones that they can uphold and honor. Also, the process of creating an enforceable time-sharing schedule is further complicated by the fact that the schedule must also include things that might vary depending on the parent’s parenting style. As the last blog post stated, if a parent violates the parenting plan or the time-sharing schedule they may be subject to a number of different penalties. These penalties include, but are not limited to, paying the complying parent’s attorney’s fees, relinquishing time slots with the child, and court ordered community service. All in all, it’s essential to create a time-sharing schedule that is both beneficial to the child, specific, flexible, and works with the parent’s schedule. Creating a schedule that meets all of those criteria seems impossible, but it doesn’t have to be. At the Arwani Law Firm we work to ensure that our clients are protected and emotionally supported throughout the process of divorce. We work as a team and treat our clients like family. Contact us today to find out how we can help you and yours.